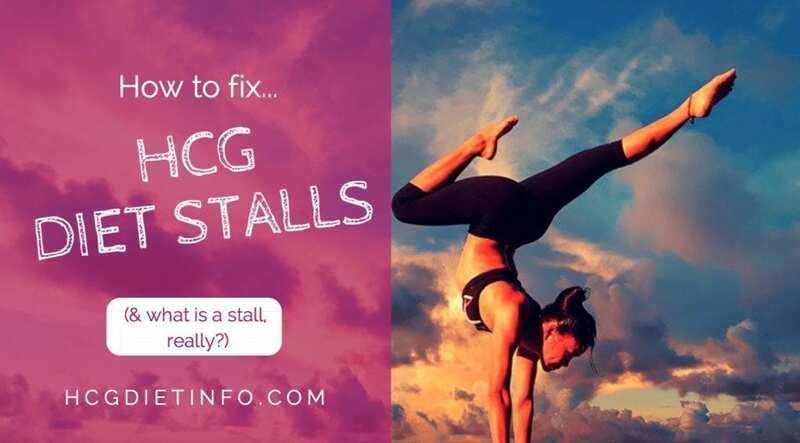 Hcg Diet Stall Breakers are helpful, but it’s also important to understand what causes a stall in the first place. When following the Hcg Diet Plan, a stall can be one of the most frustrating challenges we face. During Phase 2, the low-calorie weight loss phase of the HCG Diet protocol, it is normal to encounter days of no loss, or even a small gain. 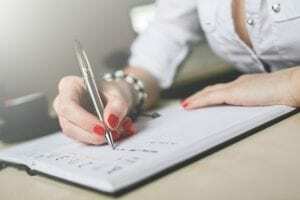 Hcg Diet Stall Breakers for Phase 2 – What is an Hcg Diet Stall and How to Correct It. Water stores shift as your body adjusts to your weight loss, and because of that, most don’t get a smooth and consistent drop each day, especially women. This should not cause alarm as it is expected, especially after the first week of rapid and large losses. An Hcg Diet stall indicates your body is regrouping for the next wave of losses. Once the cells release their stored water, you will begin losing again, and your average daily loss will catch up. This can be frustrating if you are not aware that fat cells fill up with water as their fat is used up. 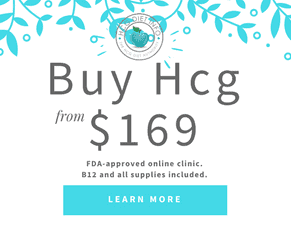 It seems that there should be no way you are not losing every day with eating so little, but this is just the ebb and flow of how the Hcg Diet Plan works. Unfortunately, fat and water look the same on a scale so you aren’t always seeing it, but you are still burning fat. It can be helpful to measure during this time, as you will still be losing inches. 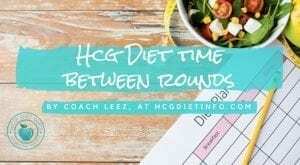 What defines an Hcg Diet Stall? Realize you are not even officially in an actual Hcg Diet stall until you’ve logged no losses for 4 days. In fact, it is not uncommon to have stalls of 10 days or longer. Dr. Simeons even mentions that you can stall for 14 days when reaching an old established set point. 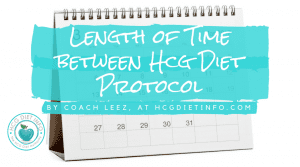 So what to do when you encounter an Hcg Diet stall in Phase 2? 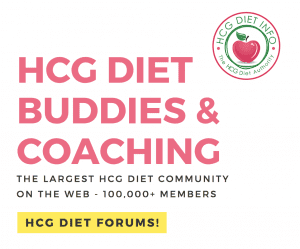 Out of the possible Hcg Diet stall breakers offered on this page, only one is mentioned in the original Hcg Diet manuscript by Dr. Simeons, and that is the Hcg Diet apple day. An apple day, as defined in the original Simeons protocol, is described as the following: From noon on one day until noon of the next, you eat only 6 apples, and take in no liquids. This will force some water loss, but even Dr. Simeons said that it was of psychological value only. It doesn’t change the overall rate of loss. Knowing that, for some Hcg dieters, it may not be worth the extra stress on your body and feelings of deprivation to attempt an apple day. In fact, there are other, more pleasant methods of creating a diuretic effect for a temporary move on the scale. Here are some of them that are compatible with the protocol. Detox bath. 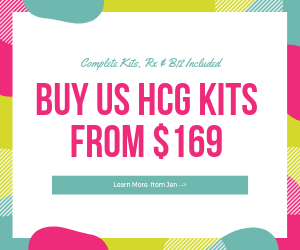 This Hcg Diet stall breaker requires inexpensive ingredients and is really a pampering and relaxing thing you can do for yourself. Run a bath as hot as you can stand. Add one pound each epsom salts and baking soda to your bath. Puree a big knob of fresh ginger or dump an ounce or two of dried ginger in your bath. The ginger will cause you to sweat. Soak in the bath for at least 20 minutes, keeping the water as hot as you can stand. Be careful to hydrate during and after the bath and be careful getting out as you may be light-headed. Wrap up in a big fluffy robe and go straight to bed. Don’t change into your regular night clothes until you’ve finished sweating, but it’s fine if you just fall asleep for the night as well. Grammy’s inflammation smoothie. This would be substituted for one of your Hcg Diet allowed vegetables for the day. (You can eliminate the celery to avoid mixing vegetables, if you are strictly following the original Hcg Diet protocol.) 1/2 a large cucumber, 2 stalks celery, 1 inch knob of fresh ginger, one whole peeled lime. Blend all with some water until completely liquified. This is especially helpful if you have a gain from a problem food, and can be used to combat inflammation gains beyond Phase 2. Cali Kicker. Some swear by this, but it doesn’t work for everyone. 1/8th to 1/4 tsp cayenne pepper in 8 oz warm water plus juice of half a lemon. Be prepared for the burn! Dandelion or Hibiscus tea. Both these herbal teas have diuretic properties. This is one of the most popular Hcg Diet stall breakers and can be used in all phases. If you are eating the same foods every day, get some variety in your selections. Sometimes that shakes things up and seems to get the scale moving. Granted, it could also just be that it was going to happen anyway. But you also might discover that one of your daily choices may have been a problem food for you. The best way to approach Hcg Diet stalls is to embrace them as normal and expected and just stay on protocol. You don’t need to take action. The HCG and your body are going to work together in ways we don’t understand fully and can’t predict, but in the end you’ll get a good result. It also may be comforting to know that those that experience long stalls during their rounds often have an easier time stabilizing in Phase 3. 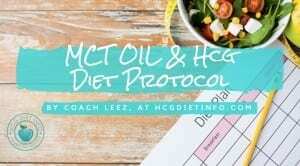 Next Article: Leez’s Hcg Diet journey with Diet Doc.